RE has been in and out of political news this month, with Charles Clarke reiterating the importance of RE, and attacking Michael Gove for neglecting the subject. Tristram Hunt has also called for a renewed debate in politics about the way religious education is conducted in schools. The Council has responded to these comments and plans to work hard to make the voice of the RE community heard in future talks. Meanwhile the EAG on RE and Qualifications Committee are continuing their efforts in preparing guidance to sit alongside the RE Review Framework and looking into the reform of qualifications in RS. Our telephone number is 0207 250 8166. All e-mail addresses will remain the same. The ya4RE scheme continues to get interest and applications. 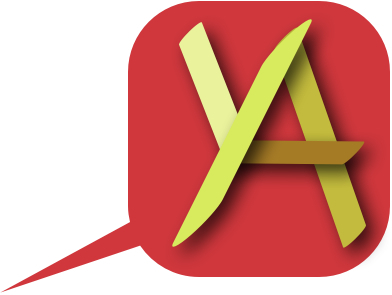 In May we had a successful application from Archbishop Sentamu Academy in Kingston upon Hull. This month we have accepted another team into the scheme, from St Mary’s C of E Middle School in Belford. We look forward to working with the two new teams over the coming year, as well as beginning a new year with our current teams. If you are interested in learning more about the scheme or think students at your school would be keen on applying, visit the ya4RE section of the REC website. Joyce Miller, who coordinated the RE and good community relations inquiry by the APPG, is busy working on a longer paper in the wake of the most recent APPG report. The next APPG meeting will be the annual general meeting in Westminster on 9th July 2014, when MPs will reflect on the group's work over the last two years and look out how best to work together to support RE in the run up to the general election and beyond it. The RE PR Group (REC, NATRE and RE Today) will also be looking to engage political parties across the spectrum and is currently preparing to attend this year’s party conferences to raise awareness of what needs to be done to support the subject. Seven RE subject leaders who have achieved the RE Quality Mark are now assessors. We are delighted that their achievement in leading high quality RE will be used to assess good practice in other schools. Twenty assessors who trained during the pilot have been reaccredited as they will have completed three years. The second REQM conference will be held in Birmingham on Saturday 7 February. This will be open to all schools which have achieved the award. There will be presentations from colleagues on the impact of the award on their practice. We shall also be asking those schools who have taken part in the classroom based research to share their findings. Stephen Lloyd Open Letter: Trojan Horse: Stephen Lloyd MP, Chair of the APPG on RE has written an open letter to The Times in response to their article about the ‘Trojan Horse’ schools in Birmingham. Cross party debate on the role of RE: an open letter by John Keast OBE to shadow secretary Tristram Hunt endorsing his calls for a cross-party debate on the role of RE in the education sector. After seven years in the post the Revd Jan Ainsworth is retiring next month as the Church of England’s Chief Education Officer. Jan has been very much an RE person throughout her career, as a teacher, lecturer and diocesan RE adviser. She has ensured that RE has stayed high on the church’s agenda, in particular establishing The Christianity Project which will be published online in the autumn. Her successor is the Revd Nigel Genders, currently the Head of School Policy in the team at Church House, Westminster. For more details see the Church of England's Board of Education website. For more information please contact us on info@jainpedia.org. Dedicated to the study of inter faith relations, the Woolf Institute pursues its mission through research, teaching and public education. ‘Jews, Christians and Muslims in Europe: Modern Challenges’ is a three-part e-learning course which focuses on the relationships between Jews, Christians and Muslims in modern Europe. The course, led by Dr Gorazd Andrejč, examines historical trends, religious and cultural interaction, and issues of contemporary citizenship. The closing date for applications is 4th August 2014 and the course cost is £350. For more information and to apply for the course, visit the Woolf Institute website or e-mail eth22@cam.ac.uk. The sixth event in the FCSU Fellows’ Seminar Series 2013-14 will be ‘Faith in the Public Realm’. This seminar brings together experts in intercultural education and RE to discuss these issues through the lens of ‘religious literacy’, and will be chaired by Professor Adam Dinham and include discussion from Joyce Miller (RE Council) Martha Shaw (Goldsmiths), Stephen Shashua, and Aisling Cohn (3FF). The event will take place on 16th July 2014, 5 – 7pm, in the Free New Academies Building, room LG01, Goldsmiths, New Cross, London SE14 6NW. To book a free place e-mail Tim Stacey: t.stacey@gold.ac.uk. The Free Church Education Committee (FCEC) invites you to a day to come together, learn more and take action on Saturday 20th September 2014 at Carrs Lane Church Centre, Birmingham. The day will include workshops on subjects such as: Being a more effective SACRE member, Chaplaincy, Higher Education and Christian groups in school. There will be addresses from Dr Ann Limb OBE, DL and Revd Dr David Cornick. There is no charge for attendance, but booking is essential in order to secure a place. For more information please see the FCEC website, telephone 0203 651 8334 or e-mail education@freechurches.org.uk. On Wednesday 19th November 2014, the Independent Sch ools Religious Studies Association will be holding its annual conference: ‘Lessons from Narnia: Intellect and Imagination in RE’. 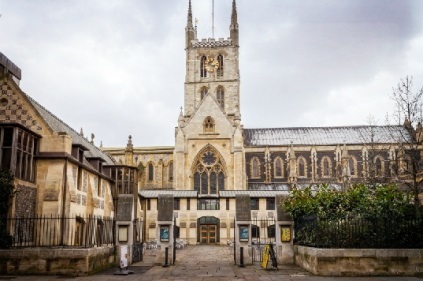 The conference will be held at Southwark Cathedral, 10.00am – 3.30pm, and the Principal Speaker will be Alister McGrath, Andreas Idreos Professor of Science and Religion in the Faculty of Theology and Religion at Oxford University. The conference cost is £145. For more information and to book a place, contact admin@isrsa.org.uk. We've produced a short 10 slide presentation about the Teach RE Course that can be used in network meetings, with colleagues, at conferences, with PGCE students and so on. The presentation includes notes for ease of use. You can download the presentation as a PPT or PDF from www.teachre.co.uk/teach-re-course.